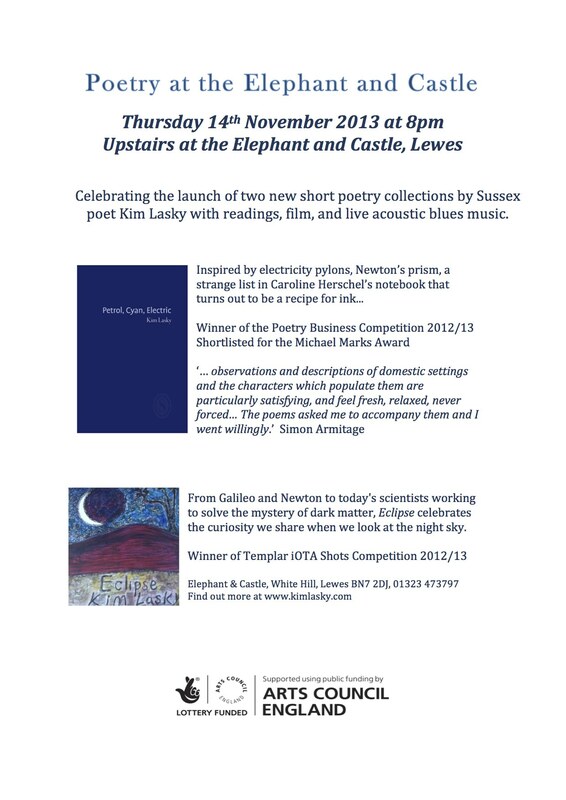 Celebrating the launch of Petrol, Cyan, Electric and Eclipse with a night of music, film and poetry in Lewes on Thursday 14th November. Upstairs at the Elephant & Castle there’ll be live acoustic blues music, readings and film from 8pm. The Elephant & Castle is in White Hill (see map), parking at the nearby Needlemakers and East St car parks.